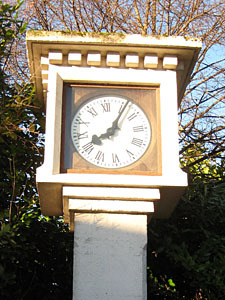 Before leaving the subject of clocks, I wanted to include a photo sent to me by Ian Dixon. It’s not the type I’ve included on earlier pages, which were all street clocks or factory clocks. 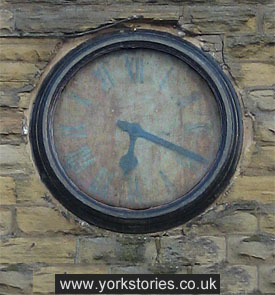 This too is a factory clock, but it lived inside, and once controlled factory time at the glassworks in York. Ian would be interested in hearing from anyone who remembers the clock in the factory. 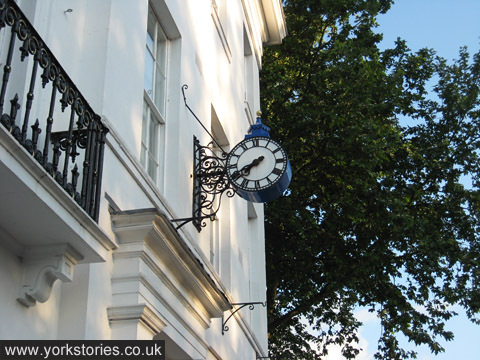 Moving on from the stopped clocks, which were arranged by the date of the building they were on, to a selection arranged by the time they told — which was, in all cases, the right time. Captured on camera during recent evening wanderings. 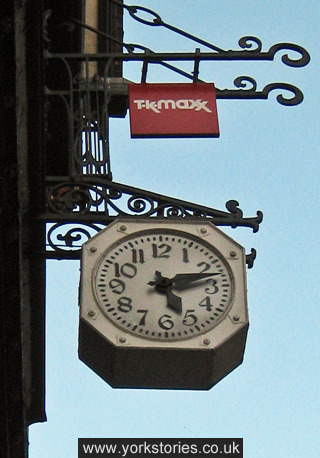 Since writing about the Rowntree clocks I’ve been noticing other clocks around the city, particularly those no longer functioning. These four may be temporarily stopped, or permanently stopped. They’re all on premises built for particular businesses, decades ago. 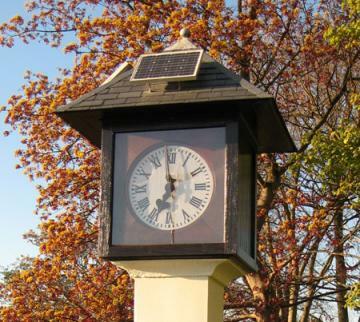 ‘Even a stopped clock tells the right time twice a day’ — as the saying goes. Here’s one I’ve only recently noticed. It’s small, and rather grubby and faded, and in fact barely visible. The photo needed some digital enhancement to make it obvious that there’s a clock face in there. The clock stopped at around 6.20, decades ago by the look of it. I like this. An understated, witty reminder. 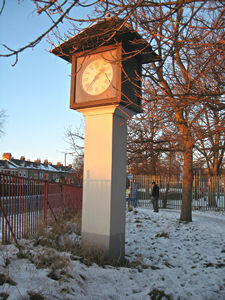 To celebrate the 50th anniversary of the famous ‘After Eight’ mint, once manufactured here at Rowntree’s, the old factory clocks were adjusted, to just after eight. 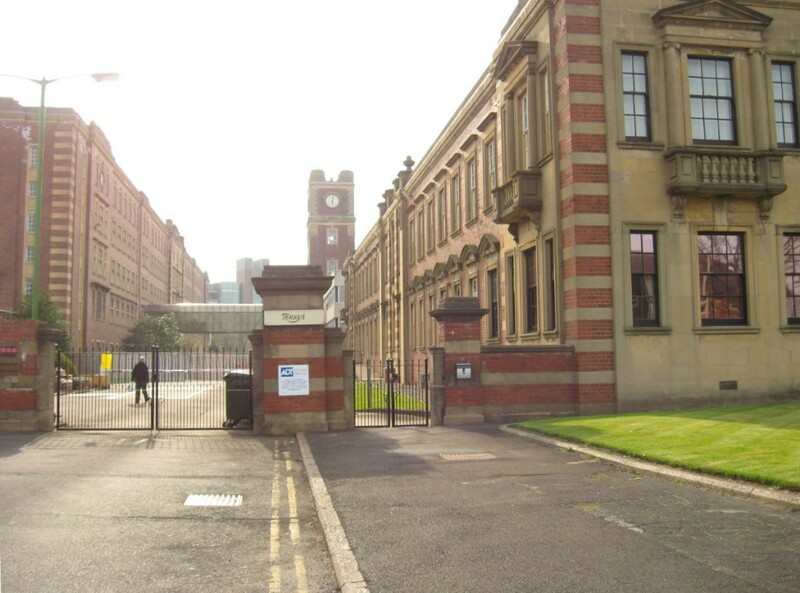 About time I got around to noting the demise of part of the old Rowntree (Nestlé) factory site.